The new Starcamp Quick and Easy Air 265 by Dorema does exactly as the name suggests! 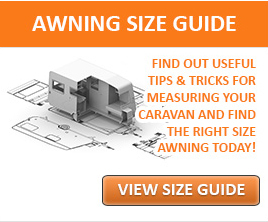 This single inflation caravan porch awning is both quick and easy to set up. 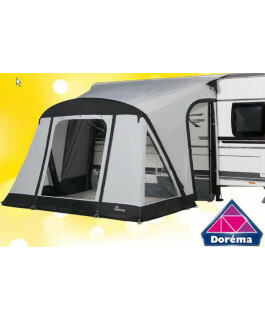 It’s the perfect awning for weekends away or overnight stays with your caravan, maximizing the time you have to relax. 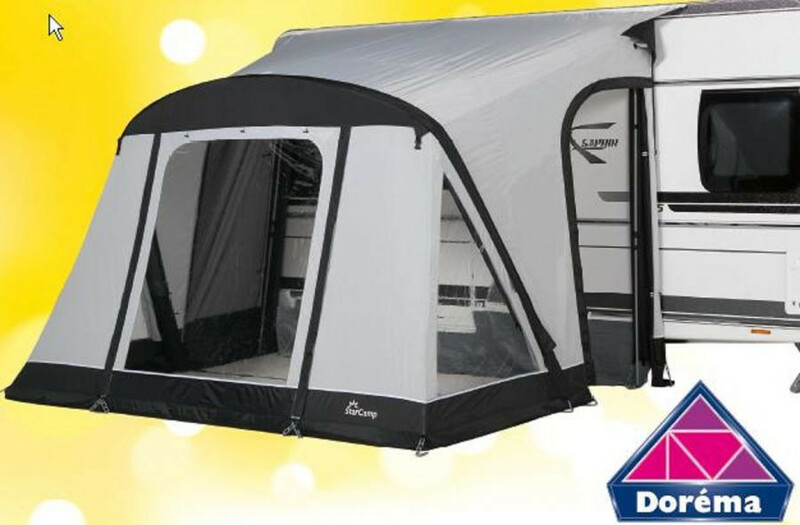 The Quick and Easy Air 265 inflatable awning comes complete with rear leg pads, which when used with the optional rear leg poles can create a tighter seal to the caravan. This helps to keep the awning a comfortable temperature and minimize draughts. The Quick and Easy Air 265 awning has been created using Dorema’s high quality Weathertex material, a strong PU coated polyester which boasts a 4000mm hydrostatic head. The front panel can be rolled up and there is a door on both the left and right hand side for easy access to and from the air awning. Each of the windows at the front and sides have blinds attached, giving you privacy when required. This porch awning also features mesh ventilation doors in both side panels, making it easy to keep the awning well ventilated whilst keeping any bugs out.